1960: The attempted launch of a prototype R-16 ICBM ends in disaster when the Soviet rocket blows up on a launchpad at the Baikonur Cosmodrome, killing more than 100 engineers, technicians and military personnel. 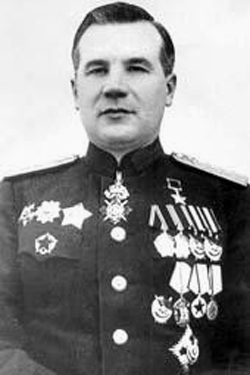 The accident is now known as the Nedelin catastrophe, after Marshal Mitrofan Ivanovich Nedelin, commander in chief of the USSR’s Strategic Rocket Forces, who was among those killed. Coming as it did at the height of the Cold War, the disaster was kept a closely guarded secret for years. The details did not become known in the West until the 1990s. An electrical malfunction in the rocket, which was already fueled and sitting on the pad, led to the accident. It was Nedelin himself, impatient to get the show on the road, who ordered the technicians to fix the problem without first defueling the rocket. An errant radio signal triggered the firing of the second stage, causing the rocket to explode. The cream of the Soviet Union’s rocket engineering talent was wiped out in an instant, along with the unfortunate Nedelin, who had set out a deck chair to watch and supervise the repair work. The R-16’s designer, Mikhail Yangel, survived only because he had slipped into a nearby bunker for a smoke just before the explosion occurred. Marshal Nedelin had been hand-picked a year earlier by Soviet Premier Nikita Khrushchev to create the Strategic Rocket Forces, the USSR’s answer to the U.S. Strategic Air Command. This article first appeared on Wired.com Oct. 24, 2007.